Fall is here, and it is such a beautiful time of year! The leaves start to fall, the pumpkins come out and the weather becomes much cooler. Can you think of a more perfect time to get outside and be active? Several indoor and outdoor activities exist that are great for cooler weather, so don’t let your active lifestyle drop along with the temperature! 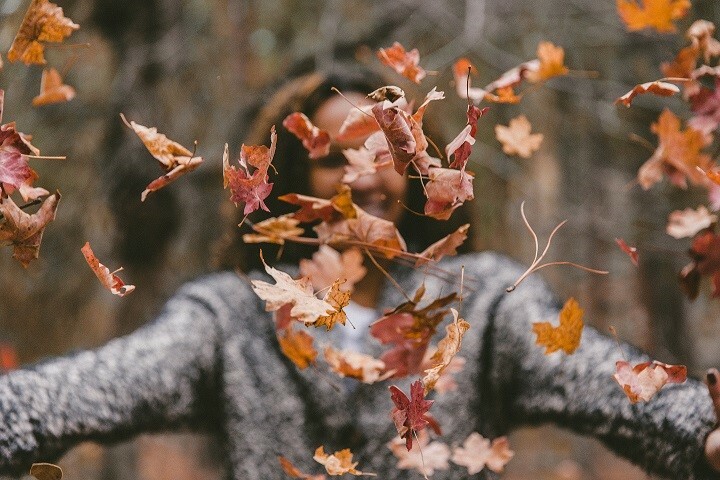 Before you start being active, consider these tips to make the most of this fall season. Have your jacket or sweatshirt for those cool morning or evening walks. And although hot weather is no longer a concern, hydration before activity certainly is, so drink up before, during and after being active. Before walking, running, or any other type of activity, be sure to warm up your muscles to avoid an injury. After your activity, plan time to cool down – instead of sitting, do a low-intensity exercise (deep breathing, brisk walking, etc.) to return to a normal heart rate and prevent stiffness or soreness. Try these simple stretches for warm up and cool down. Find a hiking trail at a state park or local recreation enter. Grab a bicycle and find an area full of beautiful Autumn leaves to enjoy the ride. Try strength exercises with dumbbells, resistance bands, or a stability ball in the comfort of your garage, living room or any other open space you have at home. Join a workout class or indoor sports league at a local gym or community recreation center (Pilates, yoga, Zumba, cycling, basketball, soccer, or bowling). Try some fitness videos at home – Videos on YouTube and DVDs online exist for literally any type of exercise you’d like to try and for any activity level. Swim laps or join a water aerobics class at an indoor pool for a low-impact exercise.